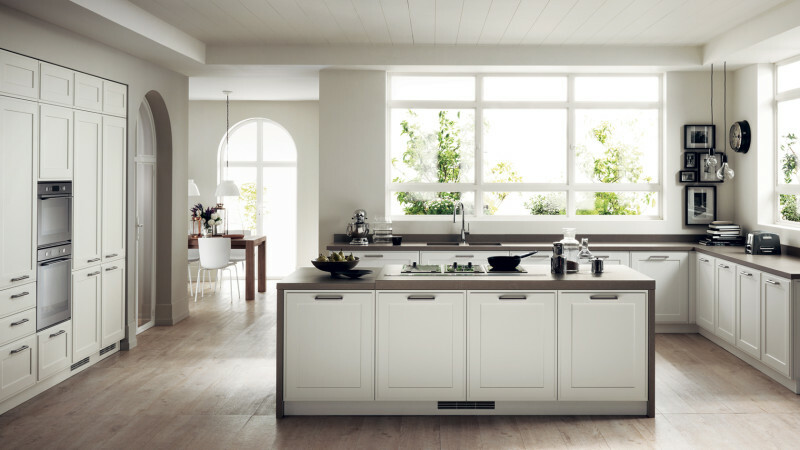 When we received news of Scavolini’s latest kitchen, we were more excited than usual. 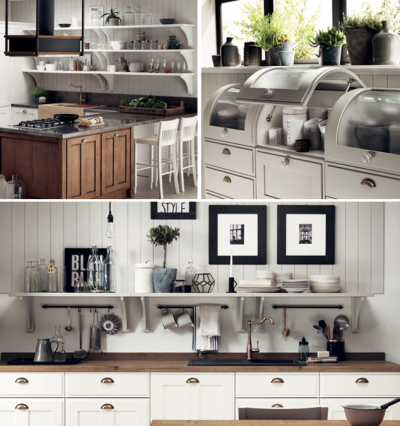 Scavolini’s newest kitchen model is an instant classic that tastefully blends industrial appeal, country atmosphere and international style and traditional taste and for that reason, we proudly present…Favilla! 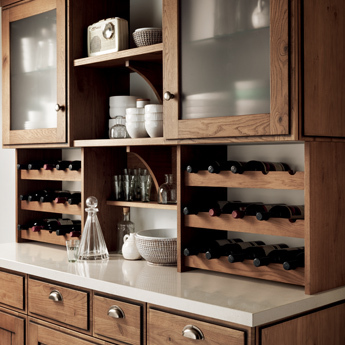 – Monobloc travertine marble equipped with a shaped chopping board which is teamed with retro style taps. 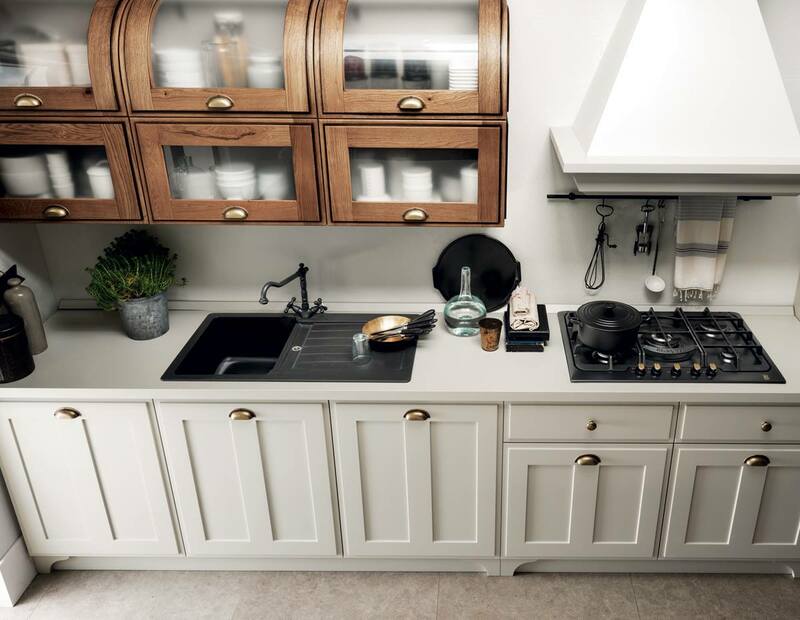 Scavolini’s Favilla reinterprets the country chic style through strikingly simple yet stylish features, which are also perfectly appropriate for a city home. The natural balance in the kitchen is given by the combination of the neutral matte lacquers with the warmth of Nodato Oak wood, the inclusion of glass doors and finally the hand-crafted look of the breakfast counter. The mixture of linear and geometric shapes, combined with high technology, plenty of storage space and the use of modern high-tech materials enhances the value of the kitchen and conveys a sense of practicality and functionality. All these elements adorns the space with pleasure and beauty. With Favilla you can rediscover past values without foregoing functionality and contemporary comfort: the traditional simplicity of old-world kitchens and the dresser block embodies all the pleasure of the domestic hearth. It is an indispensable storage unit, embellished by glass wall units, base units, spacious pull-out drawers and a matching pastry board. 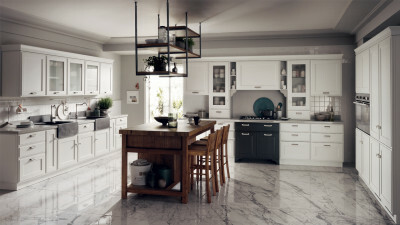 Visit our showroom in Fontabelle, Barbados to learn more about this shabby chic Scavolini Kitchen!